Electronic Arts has announced a new round of multiplayer server shutdowns for April that will include EA Sports MMA, an online pass-enabled game that was released just 17 months ago. "We would rather our hard-working engineering and IT staff focus on keeping a positive experience for the other 99 percent of customers playing our more popular games," the announcement says. "We hope you have gotten many hours of enjoyment out of the games and we appreciate your ongoing patronage." 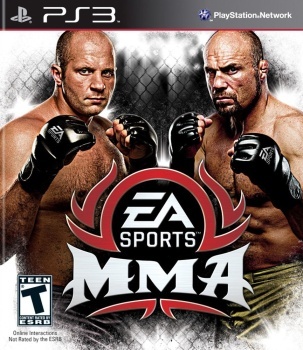 It's not unreasonable to shut down unpopular games that are well past their prime but it starts to look a little dodgy when games like EA Sports MMA are caught up in the cull. That game was only released at the end of October 2010 and, making matters worse in the eyes of at least one EA forum user, it made use of the Online Pass system which among other things is supposed to "extend the life of [its] products." "You went way out of the way to justify your 'Online Pass' crap as being there to support the online servers (since those dirty second hand purchasers didn't invest in supporting those servers). Now you are telling me that you are going to shut down the online service for a game that started the joke that is your 'Online Pass' service," the user wrote. "So please explain to me exactly how was the 'Online Pass' not nothing more than a money grab? And exactly how are you justifying shutting these servers down again?" EA has not yet responded to the question.